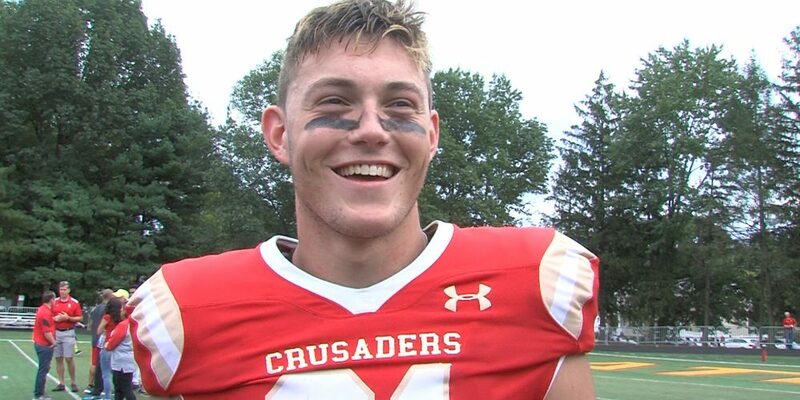 Tyler Devera emerged as New Jersey’s top tight end during his senior season and the Bergen Catholic product has officially made his college commitment. The 6-4, 225-pound Wayne native revealed he will continue his football career at Maryland. Devera made the official announcement via his Twitter account during Super Bowl LIII. Devera was the top receiving option in on an explosive Bergen Catholic offense that made it to the Non-Public Group 4 title game. Devera had a team-high 45 receptions for 613 yards and five touchdowns. Tyler Devera was one of four tight ends named to JSZ’s 2018 All-Zone team, alongside Red Bank Catholic’s Kevin Bauman (Notre Dame), West Deptford’s Jason Collier (Pitt) and Hun’s Dylan Deveney (Georgia Tech). Devera whittled his Top 5 list down to Maryland, Colorado, Louisville, UMass and Rutgers, where he decommitted from prior to the 2018 season.